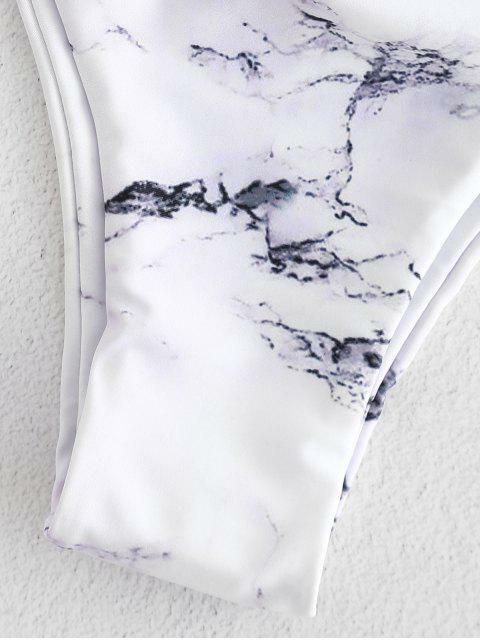 [38% OFF] 2019 Marble Print Bandeau Bikini In WHITE | ZAFUL .. This bathing suit is BEAUTIFUL the only problem I had with it was that the plastic bar holding its structure in the bandeau fell out the second I put it on. It still fits well though even the bar fell out.I’m 5ft & 105. Fits a true to size 4. With no straps involved, this bikini top is defined by its bandeau silhouette, leaving you free to sunbathe without worrying about tan lines, and side boning ensures a supportive fit, while the high-cut style of the bottoms naturally contours your figure.